Organizations started to deploy Lync Server 2013 and after the Server deployment, we need to plan on the Client upgrade to Lync 2013 Basic or Full client. Unlike Lync 2010 client, Lync 2013 client is not compatible with MS-Office 2003/2007 Suite, It supports few features with MS-Office 2010 Suite and fully compatible with MS-Office 2013 Suite. This is also applicable for O365 environment post Service upgrade. It's not a easy task to upgrade the MS-Office Suite installed on user machines all at once as it involves not only installation / up-gradation task, a huge cost involved in acquiring new licenses for deployment. To proceed further Organizations should look for proper budget allocation and deployment planning. 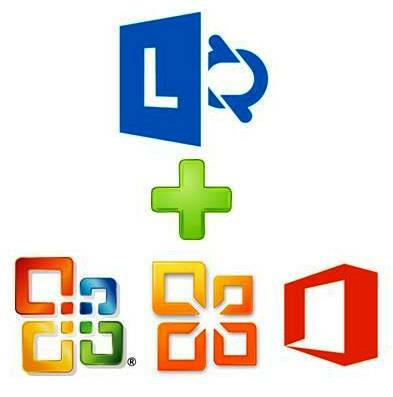 Let's understand the features that are available and not available with different MS-Office Suite products in compatible with Lync 2013 client and educate the user on the same and plan for the upgrade at the right time.